Sigma Mixer Machine, Sigma Kneader, Z blade Blade Sigma Kneader, Ribbon Blender, Powder Mixer, Ahmedabad, Mumbai. 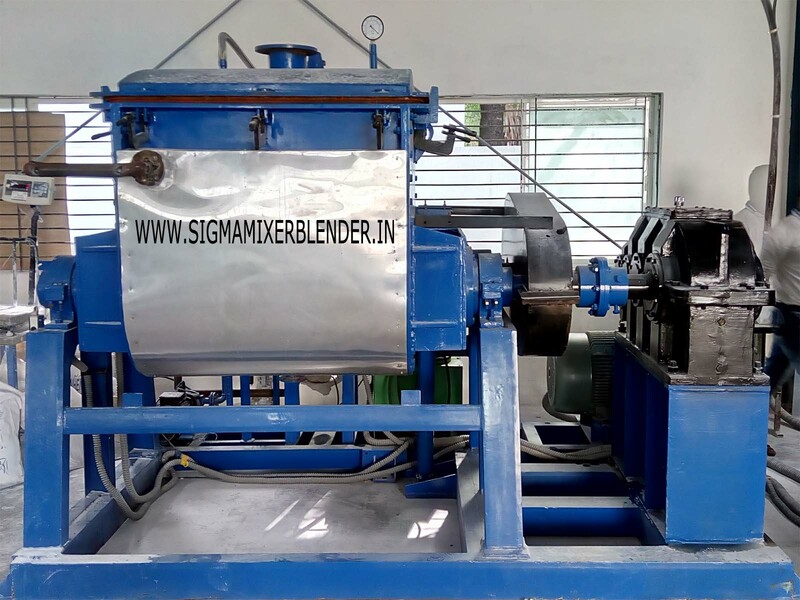 Sigma Mixer or Sigma Kneader is generally used for heavy duty mixing, kneading, dough knaeding, uses in the Paint, Pigment, food, adhesives, chemical, pharmaceutical, dyestuff industries. 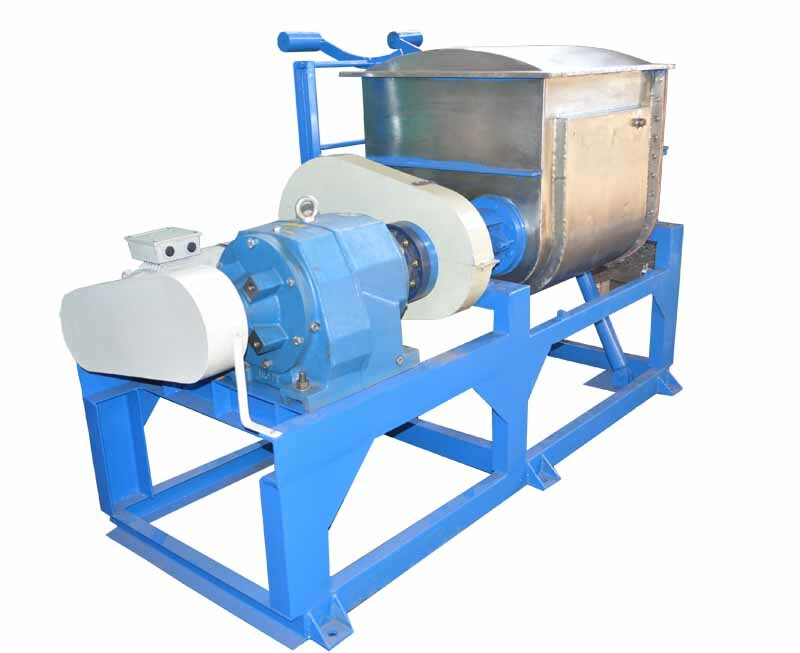 This machine has a double 'U' shaped container welded together inside which rotates 2 (two) 'Z' type sigma blades in opposite directions of each other sigma mixer blade. 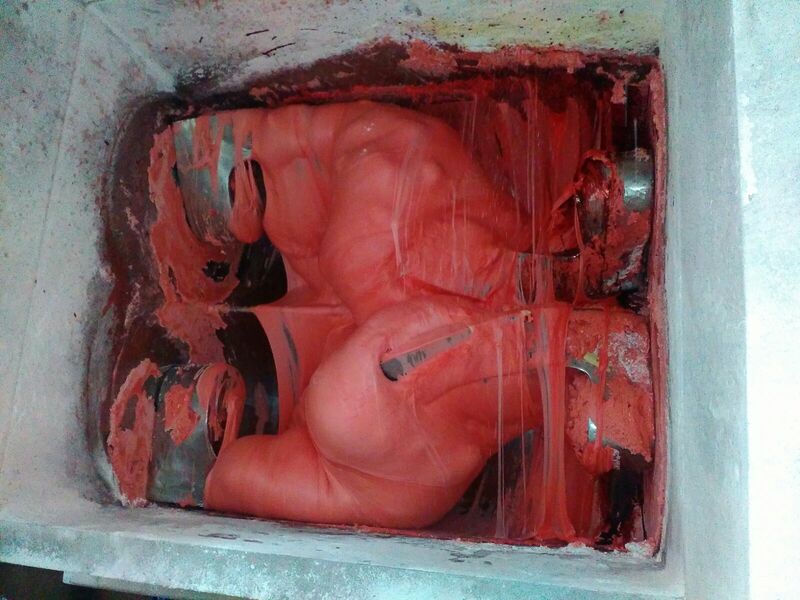 The clearances between the walls and the container are kept to a minimum for optimum efficiency in kneading and mixing. The shafts of the sigma blades are fitted in bearing blocks which are each provided with roller bearings, steel glands/teflon rubber seals for smooth and leakless operations. The kneader is mounted on a sturdy base frame fabricated out of ISMC sections and are free from vibrations. For cooling and heating jackets are provided.